Kojak is a striking collection with universal appeal, offering extreme comfort and style. 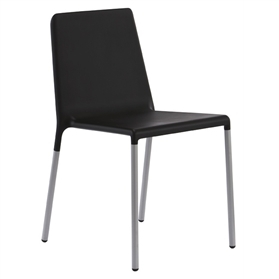 Available in Black, Grey, Green and Red Polyurethane with Regal Silver round steel frame. As seen in Marks & Spencer's customer cafe areas.